What does C.K.-Fish mean? It's simple: Cymerman- Karkkainen - Fish. According to the certificate of the Chief Veterinarian Nr/Wig-463/12/99 dated 03/02/1999 the company was given the identification number 14171801 and since then our establishment in Jozefow has been under permanent veterinary control, which guarantees the highest quality of our products. 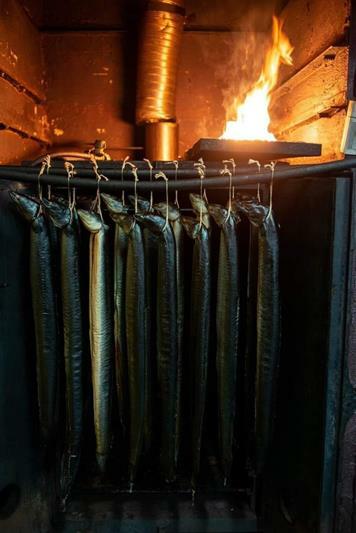 Our main activity is fish smoking based on traditional Finnish methods without the use of preservatives. The recipe, which makes our products unique, was developed by the company owner Jukka Karkkainen who had gained experience in the field working in Finland.